The No Relation Podcast is a weekly podcast that runs year-round. 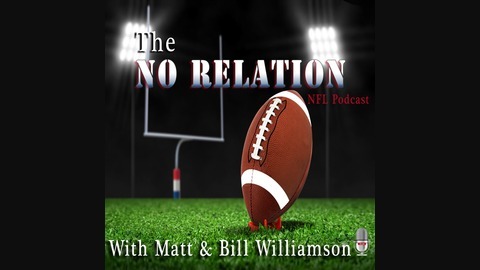 Well-connected veteran NFL observers Matt and Bill Williamson discuss all things football. Matt and Bill provide thoughts on Week 6, highlighting the injuries that are plaguing the league and impact the play on the field. ***** The No Relation Podcast is a weekly podcast that will run year-round. 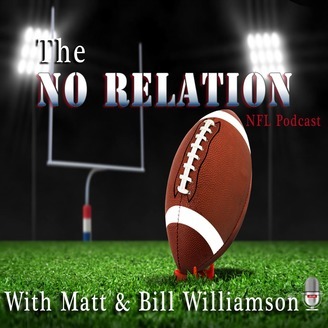 Well-connected veteran NFL observers Matt and Bill Williamson (no, they are not related) will discuss and debate all things football. The latest news, trends and rumblings will be discussed in a lively, fast-paced format. Matt Williamson is an experienced podcaster who had a successful podcast on ESPN. He worked for the network for eight years as an NFL scout. He previously was a scout for the Cleveland Browns. Bill Williamson is 26-year veteran sports journalist who has covered the NFL continuously since 1997. He came to FanRag Sports after spending eight years as an NFL writer at ESPN.com. He has covered the Seattle Seahawks, Green Bay Packers, Denver Broncos, Oakland Raiders, San Diego Chargers, Kansas City Chiefs, and San Francisco 49ers. *Special thank you to Punk Rock Opera and freemusicarchive.org for intro music “King of the Downstroke” off their album Punk Rock Opera, Vol. 1.